The New Stand helps you enjoy your daily commuting! The New Stand is a New-York based transit trade concept that opened at the end of 2015. Their motto? «We believe that your daily routine should be anything but routine». 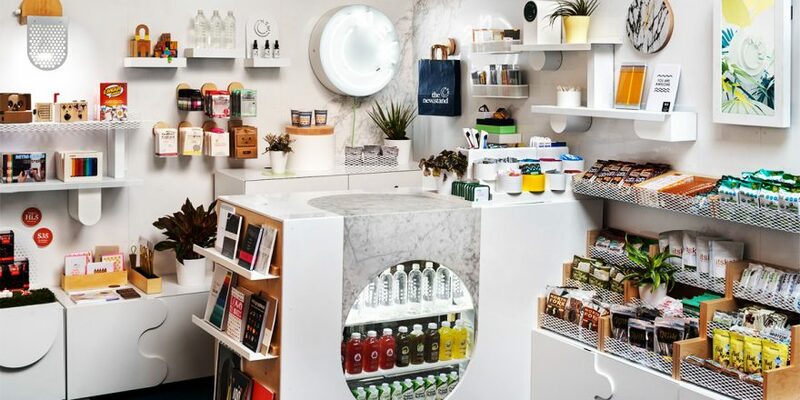 These small shops, already located in 3 subway stations, offer a wide choice of useful products for travellers (snacks, juices, books and headphones…), but also a selection of design products that could compete with any of the latest fashion concept stores. The brand also developed a free application with numerous functionalities (discounts, loyalty program, and mobile payment) and offering new content every day: daily news, articles on trends, music and videos. The content is renewed twice a day, once in the morning, and once in the evening, in order to match perfectly commuters’ flows, heading back and forth to work in the morning and in the evening. The New Stand is both a physical store and a « discovery platform»; the first one sells useful products, while the other one inspires and entertain commuters, especially by creating partnerships with brands that they promote. The smart little extra: the app content is available offline, a must in the subway station! ‽ What about adapting your shops dimensions and offers to your customers’ different expectations according to their locations and each moment of the day? How could you help them seamlessly and smartly in their daily life? Did you like this post ? Make room for creativity ! Need to relax? Go to work! An error occured, please try again later. Your registration is confirmed, thank you!